Automated insulin delivery (AID) improves time-in-range, reduces hypoglycemia (low blood sugar), improves sleep, and generally reduces diabetes burden. Tandem’s Control-IQ, an automated insulin delivery system that uses Dexcom G6 CGM data to adjust basal insulin delivery and deliver automatic correction boluses, is poised to be the second hybrid closed loop system on the US market (after the MiniMed 670G). 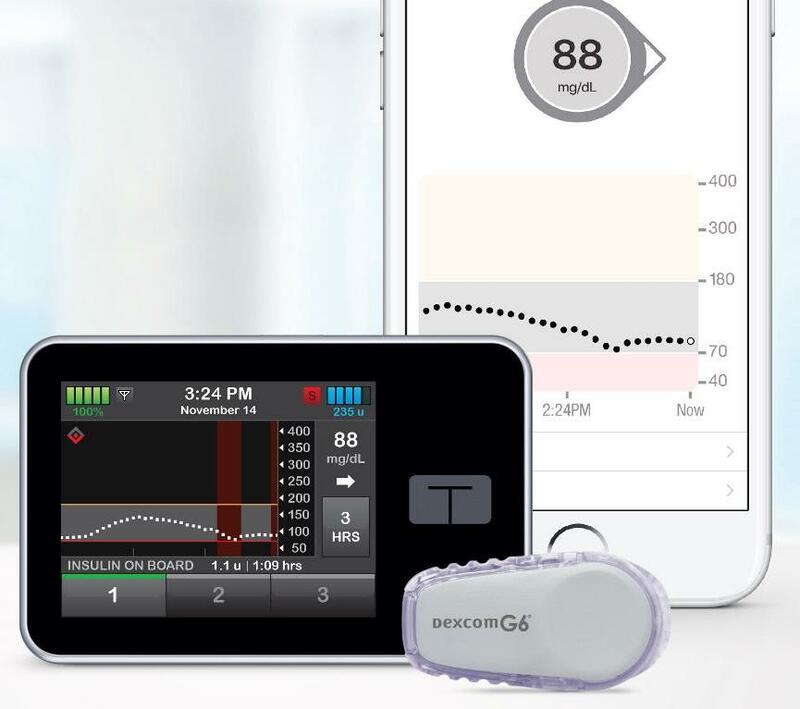 By using the Dexcom G6, Control-IQ offers the many advantages of AID without fingersticks. Control-IQ is currently being tested in a pivotal trial (a study that will be submitted to the FDA for approval) for people with type 1 diabetes ages 14 and older. This month, the study was paused to fix a newly-identified, minor software bug. Now, instead of a Control-IQ launch this “summer” (the initial goal), Tandem is hoping for a launch in the second half of 2019. A new study is also starting to test Control-IQ in participants six years and older; we’ll cover this in Trial Watch once it starts. Though Control-IQ has faced a small delay, this setback highlights the exciting infrastructure in place for Tandem t:slim X2 pump users – the ability to software update the pump from home. This allows Tandem to launch product improvements and fixes without having to ship a brand new pump. This is similar to the remote upgrade to add Basal-IQ (the software that suspended basal insulin delivery when a low was predicted). Once it is approved, Control-IQ will be available as a remote software upgrade for in-warranty Tandem users with a G6 CGM. Tandem also expects to launch a t:slim X2 mobile app in the first half of this year, which will connect to the pump (via Bluetooth) and offer wireless pump data uploads to the web-based t:connect software. The plan is for it to launch for both Apple and Android users. What was the software bug? The bug relates to how the t:slim X2 pump responds to incorrect CGM data under specific, rare conditions. There have been no reported adverse events, such as severe hypoglycemia. Tandem hasn’t publicly shared what those specific conditions were. Once trial participants get the remote software update in late March, the trial will resume and be completed around May. The results of the trial are expected at the upcoming ADA Scientific Sessions in June.